Gartner has predicted that by 2020, 85% of customer interactions will be managed without humans. We are changing. We are becoming a more self-service economy. Artificial Intelligence or AI is helping us enable it and that too across industries. If some years back someone had asked me write about the impact of AI in the legal industry, I wouldn’t have bothered. I mean, look at the industry. It has remained unchanged for years. Lawyers have been working the same way for years, without any change, buried under piles of documents and load of research work. Given the history of the legal industry, it has been least effected by technology and been one of the most lazy industries to adopt anything new. Looks like Artificial Intelligence is set to change that about legal industry and that too in a big way. Let’s try to understand how that’s happening. 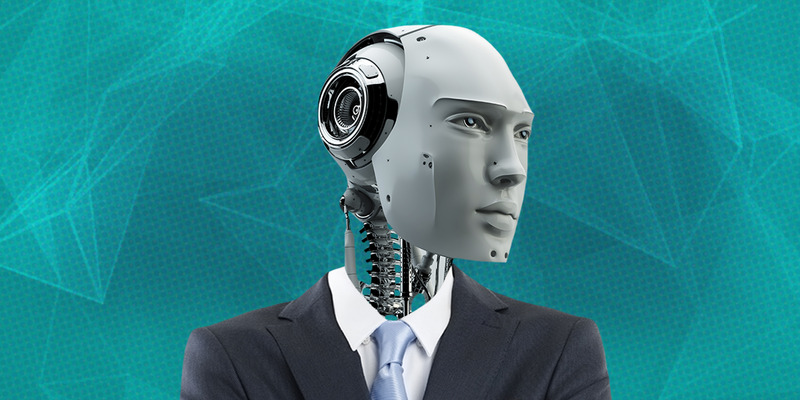 But before we take a plunge into explaining how legal industry is getting impacted, let’s have a quick understanding of what Artificial Intelligence is. No, it’s not Arnold Schwarzenegger from The Terminator. But put simply, it is a computer science domain that helps machines to think and behave like humans (and be able to copy human behavior). As per Forbes (where it is explained better), AI can be thought of as simulating the capacity for abstract, creative, deductive thought – and particularly the ability to learn which this gives rise to – using the digital, binary logic of computers. What does the future of the legal industry with AI look like? One of the greatest fears, whenever someone talks about AI is that it is likely to take away the jobs of some people in some industries. Yes it’s true, for example, in one of our blogs we discussed how AI is threatening the jobs of cashiers and store assistants. Experts predict that by 2020 at least 5 million jobs are threatened by machines. While some feel that human interaction, input and judgement can never be replaced, we just cannot overlook the fact that machines are faster and way more efficient. Are jobs in the legal industry threatened? Most definitely, yes. AI can address the current pain areas of the legal industry. It can simplify analysis and research work within the UX while leveraging technology. It can collaborate data (public and private), and develop case strategy (after analyzing piles of case law data and discover material). Additionally, AI can help give a well-researched advice to the lawyer on the best way to negotiate the case and can save a lot of time that is spent in dissecting information. In one of the articles published on Future of Everything – Ask The Thought Leaders: What’s The Future Of Artificial Intelligence And Law?, our CEO Rishi Khanna said, “The legal industry has been untouched till now. Untouched by technology and it has had a low impact on this industry, it seems as if in spite of all the technology advances, it has remained unfazed. Experts believe that Artificial Intelligence or AI, however, is expected to have deep lasting impact on this industry.” He added that the fact that Artificial Intelligence addresses the challenges of the legal industry (which have been there for years), which is what will make it irresistible. Lawyers tend to spend a lot of their otherwise productive time in investigating documents for the purpose of diligence, research, and investigations. On the other hand, Artificial Intelligence, for the same work will be much faster and accurate with the use of predictive coding in electronic disclosure. AI is capable of analyzing large amounts of data (legal documents) in no time. Rishi also added that lawyers are all excited about AI as it can predict case results. It can do so with the help of evaluating case history and past records. Additionally, data mining and predictive analysis techniques will enable predicting the most probable outcome of a legal case. There is even a high likelihood of AI bots taking the role of web legal advisors. There have been a handful of law firms which have already adopted ROSS software. It uses the super computing power of IBM Watson to comb through huge batches of data and, over time, learn how to best serve its users. The software can sort through something in a matter of seconds that would normally takes a human hours upon hours to review. There is another major advantage that AI can enable. Today almost 80% of the people in US can’t afford lawyers. Why are lawyers so expensive? Primarily due to the time and energy they have to spend on research. So the future belongs to AI enabled lawyers. They will be able to review contracts, find discrepancies in documents, automating tasks like executing and filing NDA. Using AI lawyers will be most cost-effective (perhaps not as personalized) for such people. Do you still have questions related to the impact of AI in your industry? Speak to one of our experts to understand the impact of Artificial Intelligence in your industry.